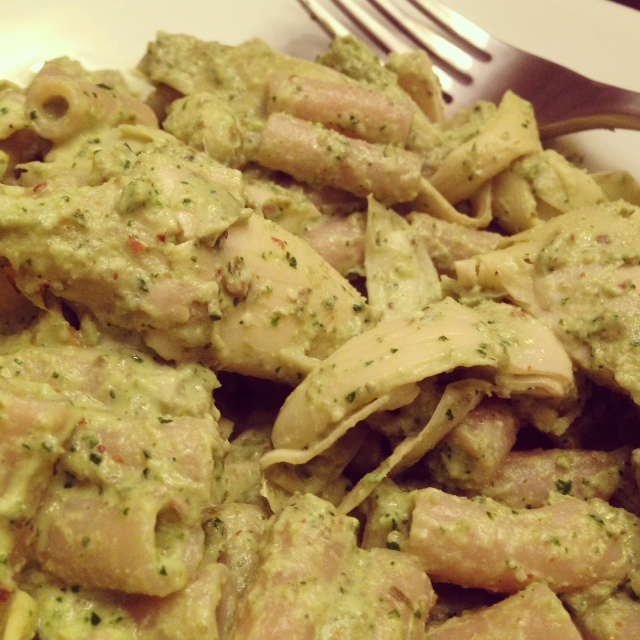 Penne Pasta with Creamy Caper Pesto & Artichokes. 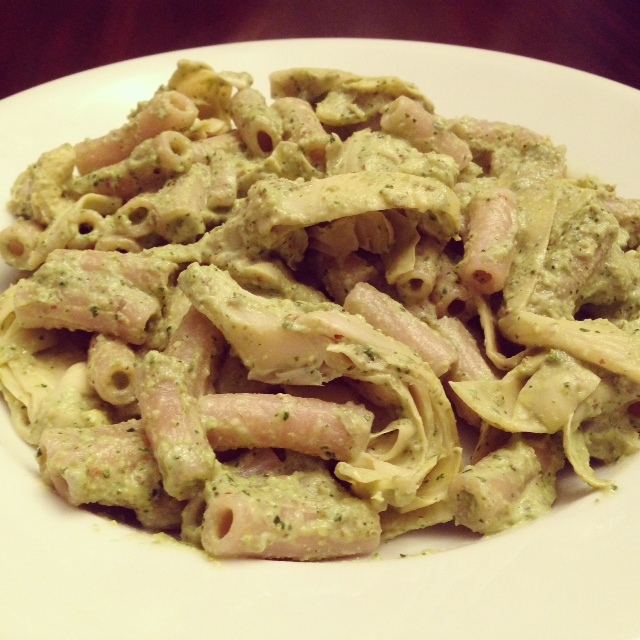 This creamy caper pesto pasta (say that ten times fast!) 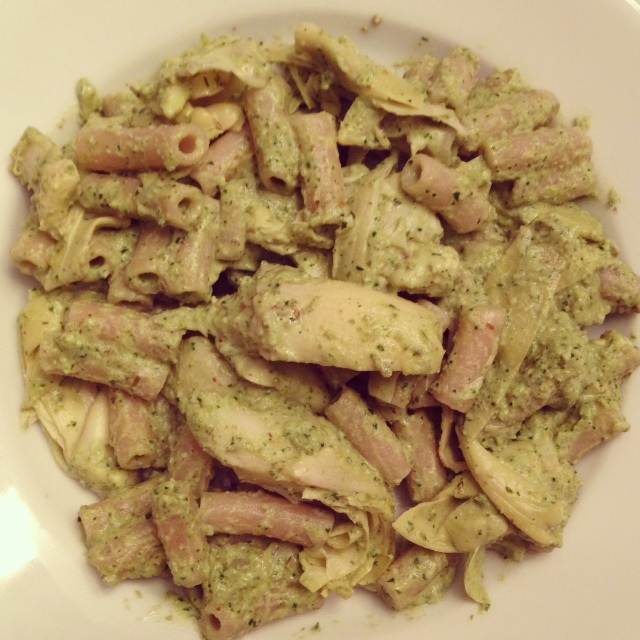 is a unique twist on a standard basil pesto. 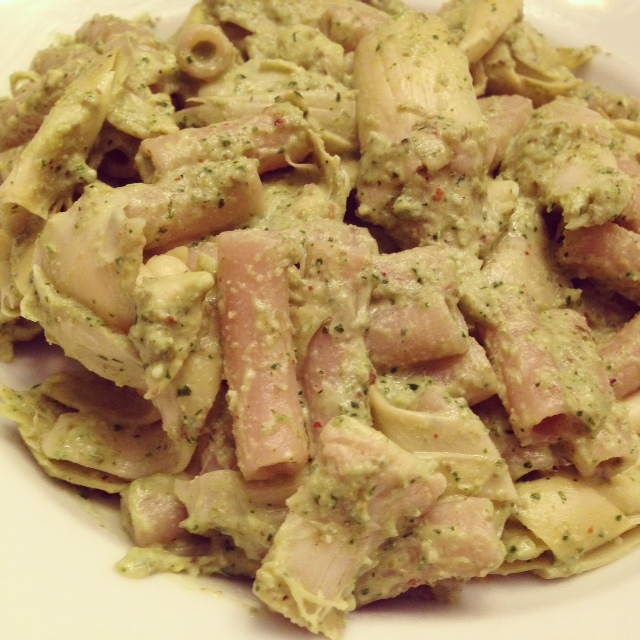 Be warned, if you don’t like capers you will not like this pasta! I happen to love capers, but I do realize that they’re an acquired taste. The capers add a salty tang to the sauce that’s balanced out with the Parmesan and sour cream. The artichokes compliment the flavors and textures perfectly. If you like capers, you should definitely give this dish a try! 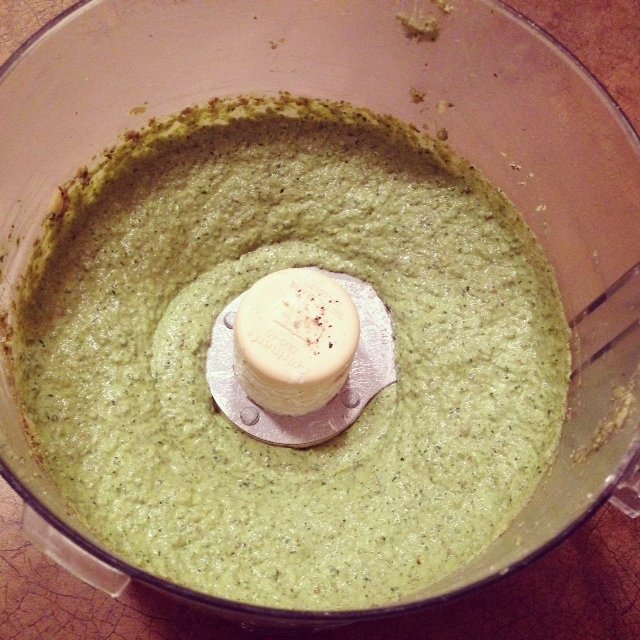 In a food processor, add the capers, almonds, olive oil and lemon juice. Blend the ingredients to so they are chopped and then add in the handfuls of parsley and dill, one handful at a time, blending each until chopped and mixed in. Lastly, add the sour cream, Parmesan and black pepper and blend the mixture until completely smooth. If needed, add in a little bit of water to help smooth out the mixture. Boil the pasta as directed on the package and drain all excess water. Put the pasta back into the same pot and mix the cooked pasta together with the artichokes and caper pesto to combine and heat the sauce.